10 Times My Kids Were Hilarious! Our package finally arrived. Belated Happy Birthday Boyfriend!! 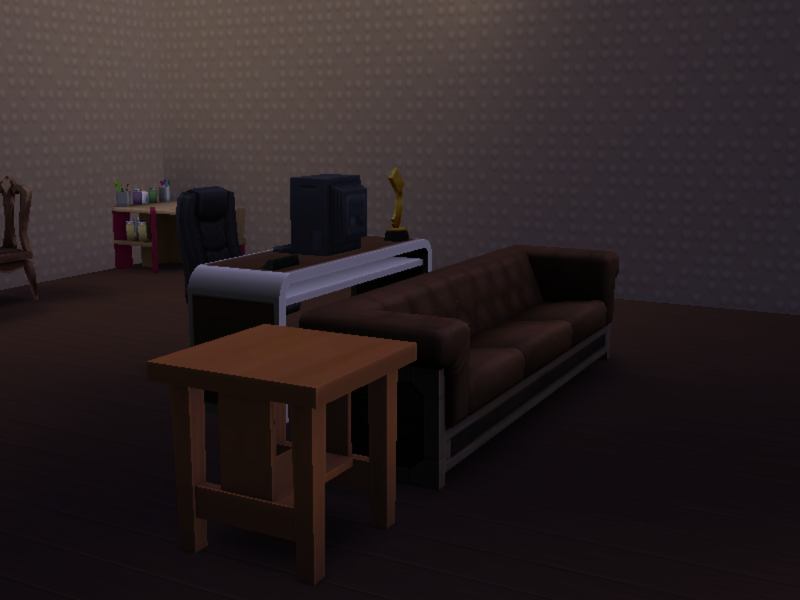 It took me awhile to gear up to play more of The Sims 4, as I was impatiently awaiting the release of the Get to Work expansion pack (read more about that here…). The Boyfriend finally convinced me to play #TheRayneLegacy again and I spent probably two or three days playing for large portions of the day. 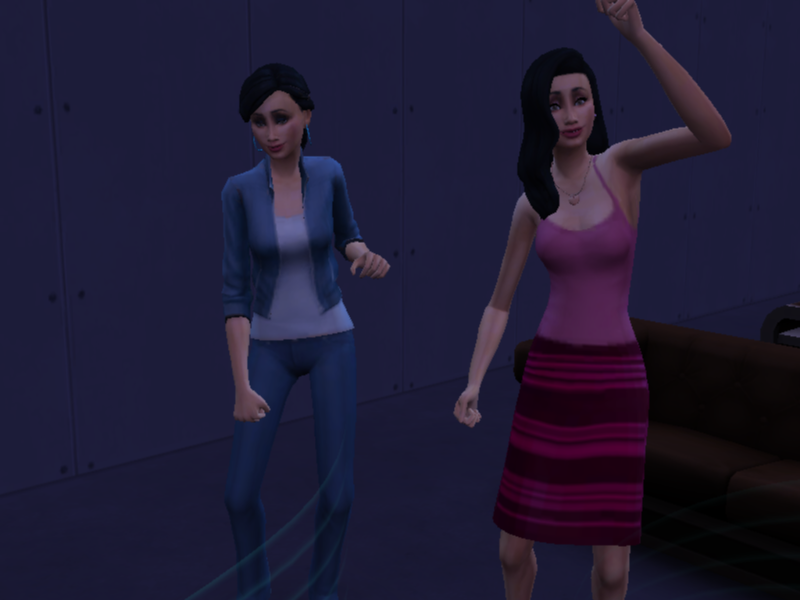 Felicity and Geisha had a birthday and became teenagers. They both worked diligently on honing their skills and each of them got a job; Felicity as a landscaper and Geisha as a babysitter. There has been a lot of playing instruments, going to work, going to school, gardening and cooking in their lives of late. All three girls went on another family camping trip, and aside from the fact that Geisha gets a negative moodlet every time she interacts with her friend, the bear, it was a pretty great experience. Now, we are definitely getting close to the end of an era – a.k.a the end of the first generation of my legacy-esque challenge. I suspect that the next time I get on here, Evyn will die as she has been perpetually tense or uncomfortable and that Felicity and Geisha will age up to Young Adults. As you’ll probably remember, I’ve chosen to stick with a first-born matriarchy, so Felicity will become the heir to the 2nd generation of #TheRayneLegacy. As I said, big changes are coming! And I couldn’t be more excited!!! After having an incredibly productive day yesterday, I decided it was time to play The Sims 4. The game notified me about their WooHoo Weekend. 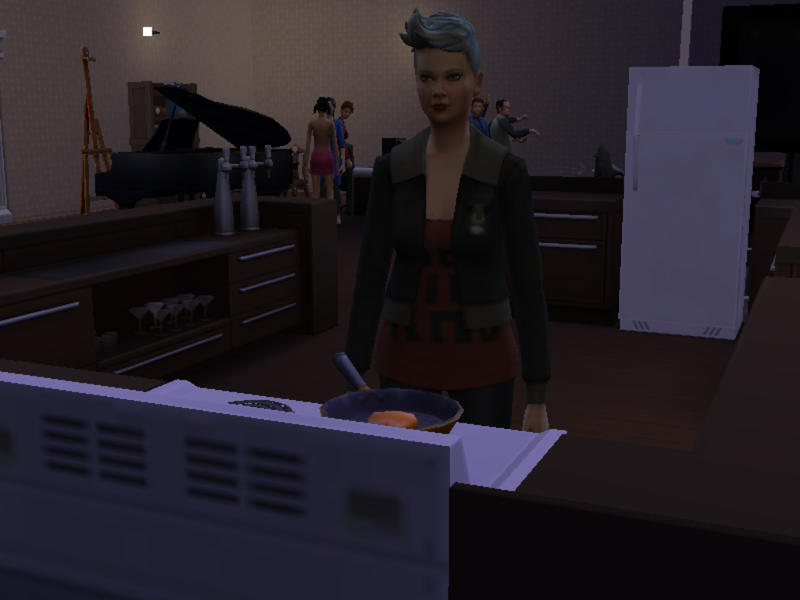 So because my file with The Boyfriend & I already had a couple who were ready to WooHoo, I played that last night. Today, I decided to check in on Evyn and The Rayne Legacy. Recently, Evyn had met Elijah McWilliams on a camping trip. She decided to call him up and invite him over and over the course of the next two days, they went from hardly knowing each other to steamy exchanges. Then, Evyn prepared a delicious chilli dinner and sat down with her two favorite girls in the whole world for a nice Valentine’s Day meal. Felicity and Geisha went outside to play and Evyn made some pretty bold moves with Elijah. First kiss, first time WooHoo-ing and a new boy toy – best Valentine’s Day ever! In total over the past two days, I’ve contributed approximately 7 WooHoo’s to the 4-5 million the game is looking for. I really hope to get the gnome, because it is by far the cutest one yet. And while Evyn’s hair is all set (at least until she has her next birthday), it would be really great to get new hairstyles for the girls when they age up next – which isn’t that long away! It’s been quite awhile since I last played The Rayne Legacy. I’ve started so many other families experimenting with various things that I haven’t even paid any attention to Evyn, Felicity and Geisha. Today, I decided to change that. Evyn’s been pretty unhappy as she works towards her next promotion. She just does not like filling out reports on her computer, no matter how friendly I try to make the area for her. 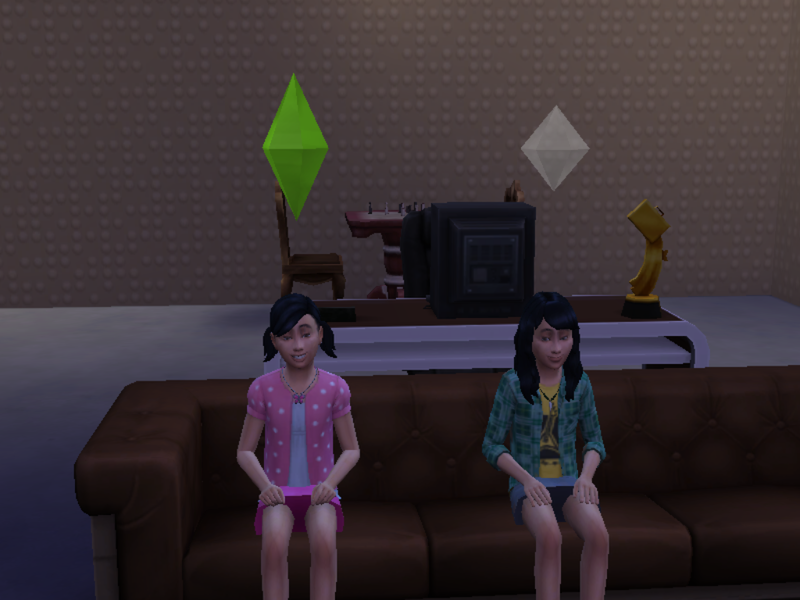 The girls have been working towards completing their various milestones, because I’m desperate to age them up, but don’t want to do it until they’ve completed their childish aspirations. Geisha took forever because Evyn wouldn’t read to her, but finally, we got over that. Felicity has been busy creating some pretty interesting pieces of art, which I plan to display eventually. Finally, the girls took a camping trip. After saving up for days they were finally ready to go and spent three days out in the wilderness. Evyn collected a bunch of new plants, frogs and even some insects. Geisha decided to go fishing and generally spent the entire vacation in a fowl mood. Felicity spent most of her time socializing with the other campers and sitting around the campfires. They even had an awesome game of horseshoes! The Girls Have Gone Camping! Next time I play, I plan on aging up the twins, Felicity and Geisha. I’m excited to see what they’ll look like as teenagers. I’m considering trying to get Evyn to fall in love with someone and have another baby before she’s officially too old, but we’ll see how the next session goes. I have not been playing nearly enough of The Sims 4. Okay, that’s a bit of a lie. Just not enough of The Rayne Legacy. I went back to it but quickly became bored and then The Boyfriend was a sweetheart and let me buy some other games. So not only did I get the new “game pack” for The Sims 4 but I also bought myself Hotel Giant 2, which I can waste way too many hours on! 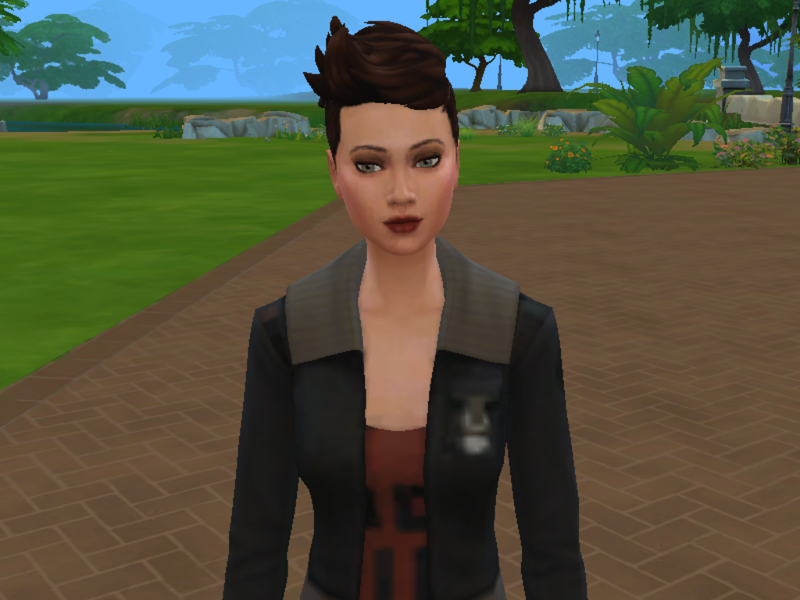 Because I bought the game pack though, I had to start a new family so that I could experiment with it right off the bat, because I couldn’t with The Rayne Legacy – it’s just not how I roll! However, I figured I’d share a little bit of what Evyn, Felicity and Geisha did the last time I played. I wonder what she’ll make next? Then, the girls were on their way home from school and Evyn decided it would be the perfect time to hop in for a swim, especially being that she was feeling pretty tense. Then the girls got home and they all had fun in the tiny pool. Finally, Felicity and Geisha both needed to get out of the house for awhile. They had never been to Magnolia Park, so headed down to check out the playground. Not only did they get to meet two new friends but they had a blast playing on the Pirate Ship. So, Felicity and Geisha Rayne, the newest additions to The Rayne Legacy, thought it would be fun to show off some of what they’re wearing. Enjoy the twins fashion show. Whose style do you like better? The pretty in pink of Geisha or the chilled green of Felicity? Also, be sure to check out some of the other Rayne fashion shows, like in this post where you can vote on your favorite founder, or this one of all the members of The Rayne Household. So, the other day, I hopped onto The Sims 4 and played for a little while. I keep playing with my speed turned all the way up and things keep happening that I don’t exactly plan. Like for example, out of nowhere, Evyn became an adult. Or, after letting her just go wild talking to people all by herself, she ended up in bed with a guy she had just met. And soon, they were dating! If you ever doubted the saying, “It only takes once…”, this is where your doubt can surely end. So, I go to make Kingston and Evyn WooHoo, and the game lags just a little bit and I end up clicking on “Try for a Baby”, although I wasn’t aware of it at the time. It was as if the virtual condom fell off… Darn you, three arrows!! I debated about just quitting right then and there, when I noticed a few days later that Evyn had gotten quite huge. But then, I decided to wait it out. When the first one was born and it was a girl, I knew I couldn’t quit now. My first heir was born!! Then came the second one right after, and imagine my delight when it was another girl!! So, my 2nd generation heir has been born, Evyn’s now a mother and an adult, and now it’s just working hard to complete her milestones and career, which is proving to be the most difficult thing in the world right now. She just will not stay happy and she seems to never have enough money, it’s a bit of a pain. It’ll probably be a few days before I’m back on The Sims 4 for a bit, because I have a lot of other stuff that I need to get done. But I’m excited to see what’s next for The Rayne Legacy. Okay, so after I officially gave up on Ashton Rayne and The Rayne Household, it took me a really long time to get back to playing the game. I was being really stubborn about it too and did some things I’m not so proud of, such as starting and ending two more families rather abruptly. I decided to carry on with the naming scheme of my lead female characters going through the alphabet. So, there was Ashton, as you know. Then, I started Blyss Rayne and carried on through to her having a child with a guy she wasn’t married to, and she named that daughter Crimson. I deleted her and created Deja Rayne next. She lasted even less time than Blyss and then I didn’t play again for a few days. About two days ago, The Boyfriend lovingly convinced me to play The Sims 4 so that he could play games longer. So now, I’d like to introduce to you, Evyn Rayne. Evyn decided to try out one of the brand new careers that was added and entered into the Business track. Who knows what the future holds at this point, but hopefully the fact that she’s ambitious and a genius will help her out. She’s still saving up money at this point to build walls, but she’s got the bare necessities and really, what else could this girl need?!? Technically, she could sell all the collectibles and frogs and plants that she’s hoarding in her inventory for a fat sum of cash, but since she’s a Collector, I doubt that’s going to happen. The Rayne Legacy, like The Rayne Household, is another legacy-esque challenge with heirs being first-born daugthers. Adopted children are not eligible to become heirs. 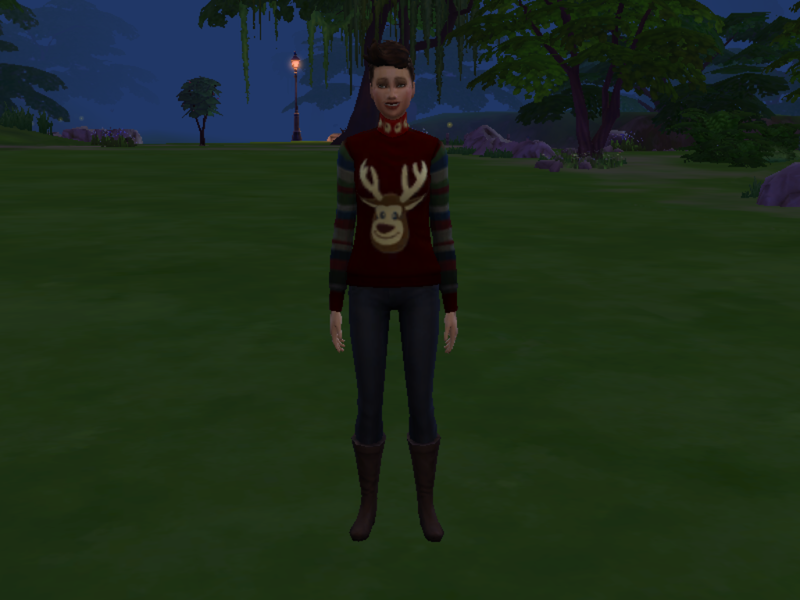 Finally, here’s the totally awesome holiday sweater that Evyn’s wearing this season 😉 Isn’t it just the best?